PayPal is the biggest online payment platform in the world today, so we decided to compile an extensive list of the top 5 stock photo agencies who accept PayPal. Our reason for doing this is so that you don’t have to find the information yourself by having to sign up for a photo agency. Even though their payment service takes a percentage of money out of each transaction, it’s a small price to pay, especially for freelancers who rely on it to buy stock photography. Many freelancers also receive payments from clients, and purchase items online with PayPal because it’s secure, and it can be used in nearly every nation around the world. It is also heavily used because it’s better for payments, because the transactions fees are lee than the cost of a money wire from a bank account. It is one of the most secure methods to transfer money and buy stock photos with. The Stock Photo Secrets Shop proudly accepts PayPal payments because it is the most secure way for our customers around the world to purchase royalty free stock photos. Read more about our latest limited time offer membership deal that gives you 200 XXL images for just $99. If you are a freelance designer, web developer or blogger, your are most likely being paid through Paypal, an online payment system where money can be transferred electronically between Paypal account users. Stock photo sites that pay with online payment services like PayPal use it because it’s easier and cheaper to process than credit card payments, or to wire money from a banking account. It also gives people all over the world an easy way to pay for stock images. How you pay for your stock photo credits or subscriptions can be a deciding factor when choosing a stock photo agency. Why is it Important When Buying Stock Photos? If you have a Paypal account you know the convenience of electronic payments. With it you can send and receive payments, and hold money like you do a bank account. You can also pay other suppliers with the money you’ve received from clients who’ve paid you via PayPal. Ebay uses it as their primary payment system and created the online platform in the 1990s specifically for the auction site. And now it is the number one payment processing company in the world. The online payment service is a ‘must have’ account if you get paid for stock photos, or if you want to purchase them online, too. The stock photo model pay system through PayPal is important because it will save you money in the long-run when it comes to transaction fees. Although they will take a small percentage of your money, it is another cost of doing business when you are a small business or freelance graphic designer who needs to buy stock photos fast. If you are a freelancer that has international clients, you will more than likely want to use PayPal in order to purchase other products, or to even receive payment from different countries. It can take your currency and convert it easily to the country of your client, making sure that they will get paid in their national currency. For you designers, stock photo agencies are most likely where you buy stock photos, so having an account, whether it’s for credits or subscriptions, may influence your choice of stock photo agency. For that is the same reason, we wanted to put together a list of the five stock agencies (plus one bonus agency) that uses PayPal. For a limited time only Stock Photo Secrets 99club gives you 200 XXL images for $99, and can be paid via PayPal today. is our very own stock photo agency that offers 4,000,000 royalty free stock images, over 700,000 vectors, and premium fonts. We happily accept payment via PayPal. Adobe Stock is the perfect stock photo service for those using Adobe Creative Cloud platform, and for creatives and designers in general. And they accept PayPal payments. iStock is a leader and innovator in the stock photo agency world, and have been accepting Paypal payments for years. It is unknown if they were the first, but members can buy through Paypal. 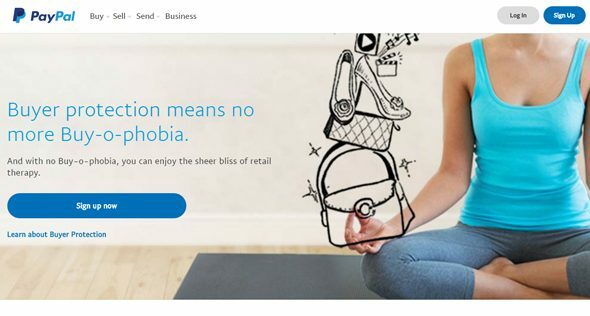 Dreamstime is known for providing lots of buying options in their subscription and credit programs, so Paypal is just one more payment option they have chosen to offer. Photocase is a German based stock photo agency with rare, unconventional, artistic imagery that represents the vibrant Berlin style. And they include PayPal in their payment options. Bonus: Bigstock is a sister company to the very popular Shutterstock, but unlike its big sister they do accept Paypal payments. Take a look at our full stock photography agency reviews or the comparison articles to better understand the benefits of each agency, and to find out what they offer with their image pack credits or membership options. Many small businesses benefit from using PayPal because it is so widely accepted around the world, and especially with stock photo agencies today. The safe, secure nature of international payment is desirable for many freelancers that use it as their only source of payment processing for work they do, or to even buy royalty free images. The top 5 stock photo agencies using PayPal use it for a reason, not only because you use it to purchase stock photos, but it also serves as a way for stock photo agencies like ourselves to sell our stock photos to international customers almost anywhere in the world. So what do you think, is PayPal a deciding factor for you when choosing a stock agency? Will the lack of it make you use one agency over the other that doesn't? Let us know in the comments below. 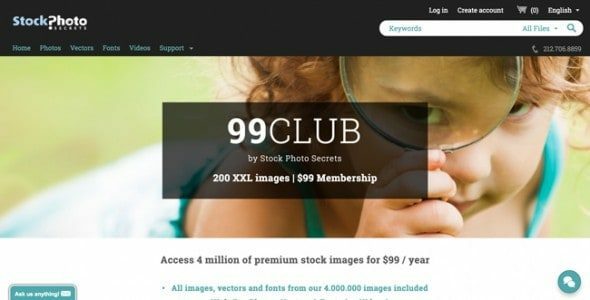 Note: For a limited time only Stock Photo Secrets 99club gives you 200 XXL images for $99.